There is nothing worse than having your home cold during winter. Whether it’s due to a residential heating system in Hudson that is not working properly or one that has completely shut down, it’s vital to your health and safety to get that heating system operational as quickly – and affordably as possible. And with over 20 years of experience under our belt in full-service home heating service, repair and installation; you’ll be certain to get the best deal – and quality home heating service from our residential heating experts, who for years now, have been making home owners satisfied all over Hudson County and Northern NJ . Residential Heating Systems in Hudson NJ are different that commercial applications. They are traditionally focused on delivering efficient heat to keep smaller areas warm when the weather gets cold outside. But, just like any other major appliance inside your home, a residential heating system in Hudson NJ should be maintained and sometimes needs to be repaired or even replaced. When this happens, you can depend on the professionals at Hudson Heating. Our staff is fully trained, certified, licensed and insured to complete virtually any residential heating services – including repairs, maintenance and installation of new Energy Star® rates HVAC Systems. If you’re in need of residential heating repair in Hudson NJ, you’ve found the right team. As professionals in home heating system repair, installation and routine maintenance, the team at Hudson Heating has the knowledge-base and professionalism to complete virtually any home heating repair on time – and always within your budget. From thermostat calibrations to full-service residential heating repairs – you can be certain that when you depend on Hudson Heating, we’ll get the job done right the first time. 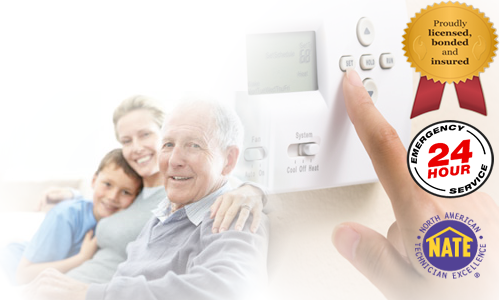 Finding a heating service repair company in the Hudson NJ area is easy. But when you need to depend on a reliable and dependable residential heating repair company in Hudson NJ that can maintain or install a new one within an affordable budget, you can rely on the experts at Hudson Heating.